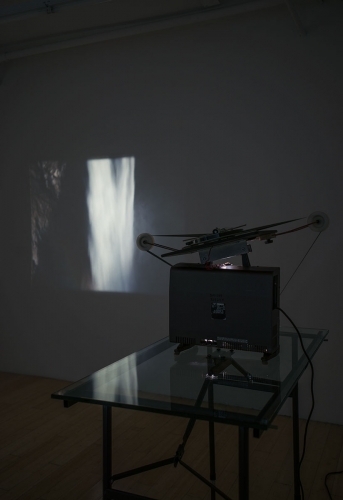 Record Volume is a dual 16mm film installation of a waterfall. 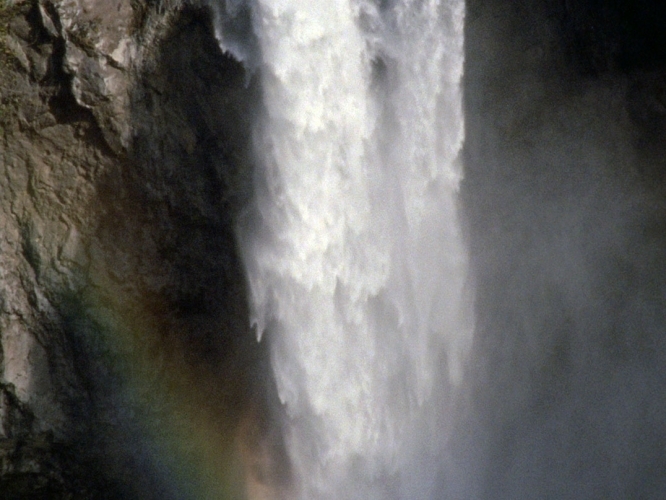 The camera's point-of-view scales the cataract on a vertical plane, nodding yes and no. 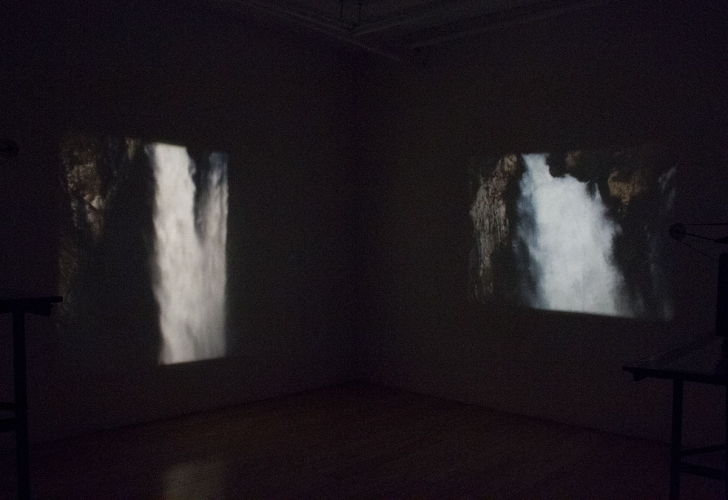 The falls take a great and rapid plunge, but on film the scale creates an illusory slowness. 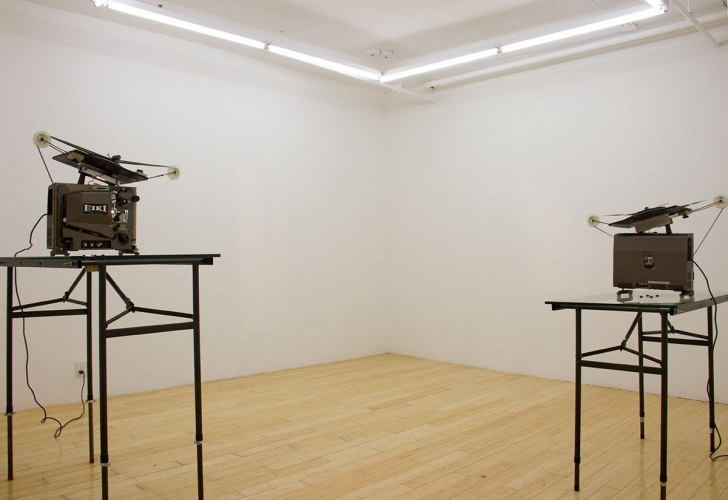 The two projectors make collective, mechanized sounds that are akin to—and substitute for—the water falling.